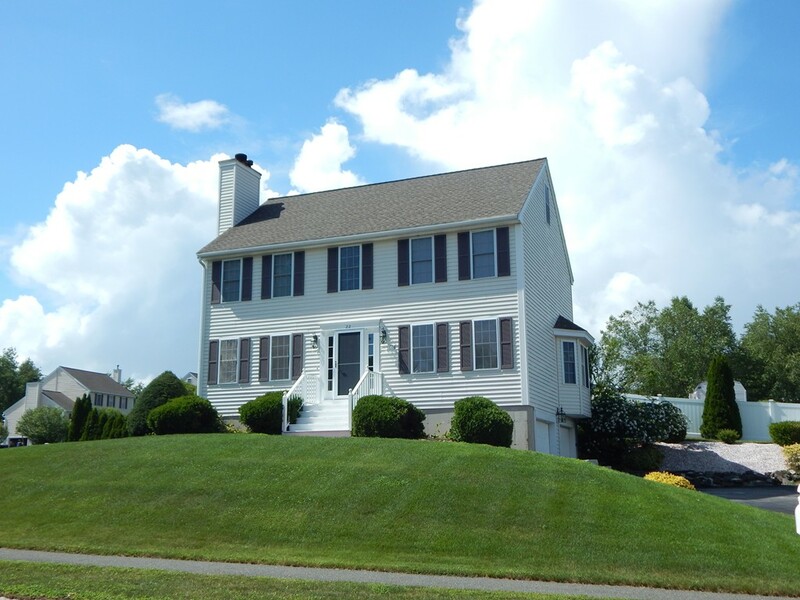 Move right in to this meticulous 3 bedroom colonial . 1st floor features large eat in kitchen with silestone counters with tile back splash and stainless appliances, open to formal dining room and large fireplaced living room plus a 1/2 bath with laundry. Sliders from kitchen to private deck and great yard perfect for entertaining. 2nd floor boasts master bedroom with master bath and walk in closet and 2 other great bedrooms. The 3rd floor is perfect for storage or possibly expansion. Other features include central air, 2 car garage, young roof and deck, irrigation and so much more won't last.